With the recent cold snap I’ve started to visit the Devils Punchbowl to photograph the birth of the ice wall. Until today the ground has been a bit soft so it has been a mess to get near the wall. However, the ground is now starting to freeze making traction a little easier. 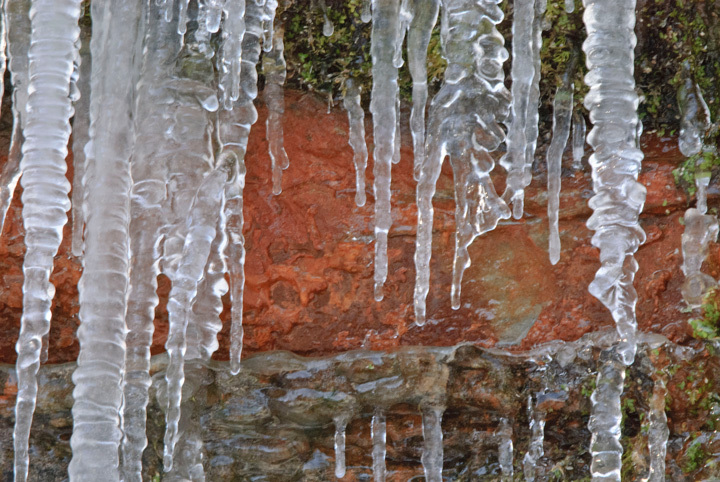 At the present time the there is quite a bit of ice falling from the wall making it a little iffy to get right near the base of the wall to for close-up photography and not get nailed by some falling ice. On my last trip I took my 200-500mm birding lens to the Bowl. This allowed me to get some close-up shots and still remain out of reach of the falling ice. The small stream that flows through the area has not frozen yet. 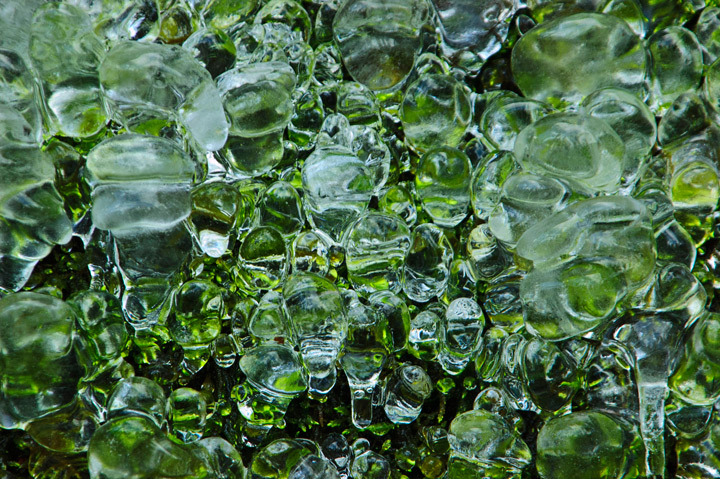 Most of my shots so far have been of moss, rocks etc. covered with ice. 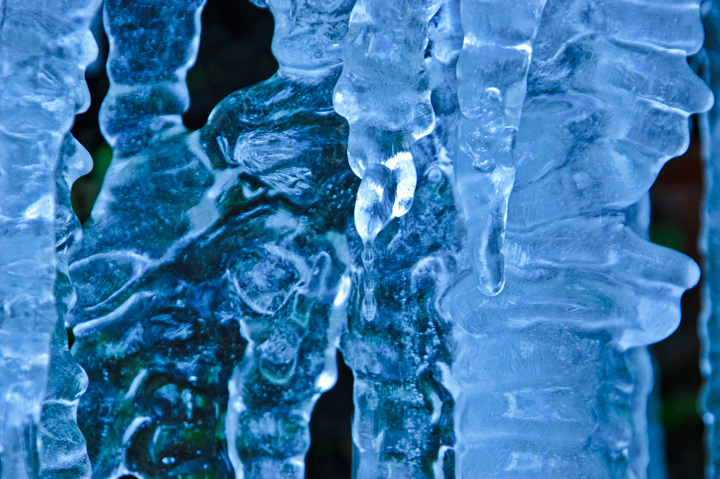 Today I was able to get some shots of large icicles hanging down from the wall. With all of the rain we have received this summer it looks like there is more water than normal seeping through the sandstone. If we have some cold weather it could make for a spectacular ice year at Devils Punchbowl. In earlier posts I provided a general description of winter photography at Devils Punchbowl and provided some winter photography tips. There are more shots of Devils Punchbowl on my website. This post probably shows how far behind I am in processing my images. 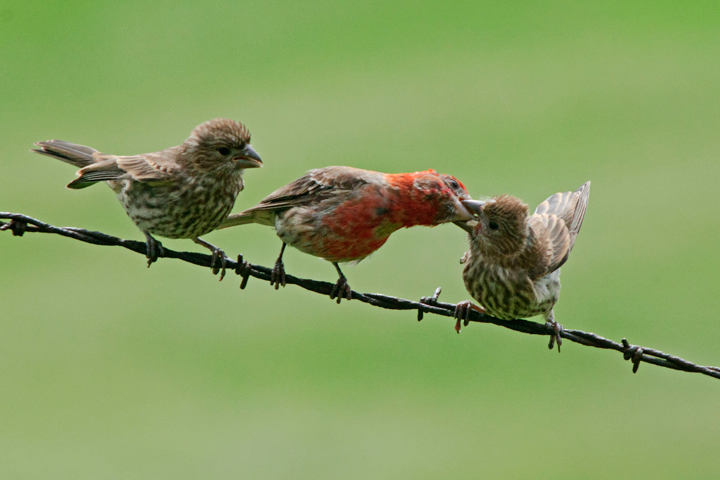 I had the good fortune to have two families of House Finches visit my bird feeder this summer. The first family visit was in mid June and the second in first of September. It was a stitch watching the young try and figure out how to use the bird feeder. At first the parents fed them. Then they figured out they could eat some of the black sunflower seeds that had been partially eaten by another bird. Finally they then figured how to get to the sunflower hearts. In both groups there was one young one that preferred to be fed by the parents. It would sit away from the feeder and when a parent went to the feeder it would start screaming and beating its wings. At some point the parent would go over and feed it. The other fledglings would they stop feeding at the feeder and fly over and try and horn in on the feeding. It was funny because the one fledgling that wanted to be fed by the parents was easily identifiable by a down feather sticking out of the top of its head. 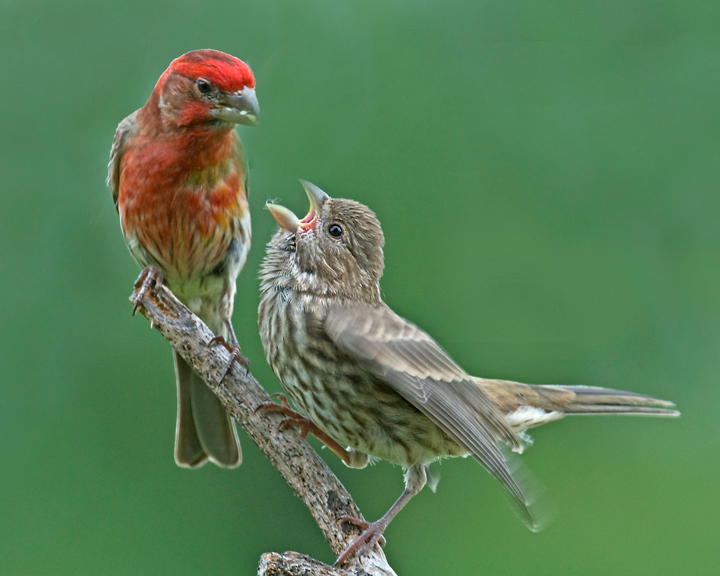 For more House Finch photos go to my website, click on search, type in House Finch and click on photos.